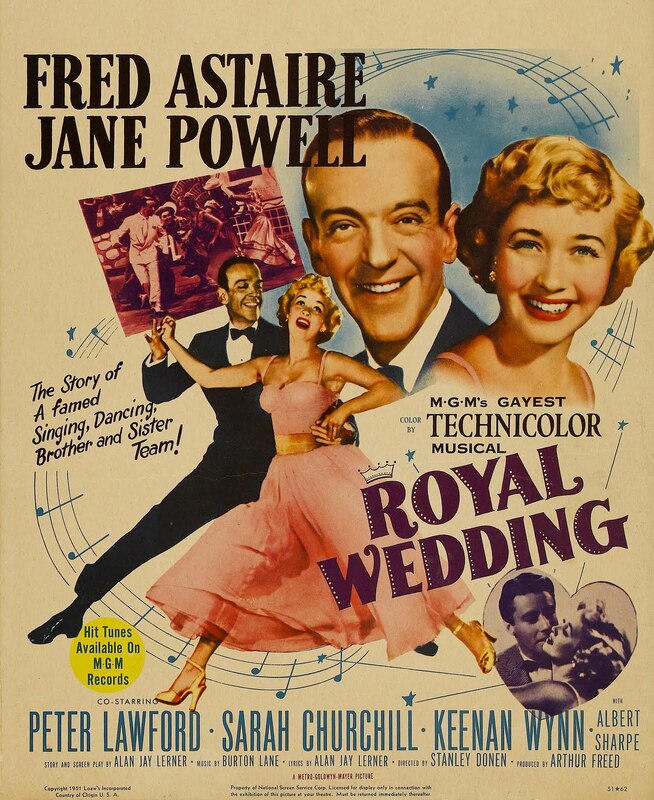 Royal Wedding (MGM) (Public Domain) is a 1951 Hollywood musical comedy film known for Fred Astaire’s dance performance on a ceiling and with a coat rack. The story is set in London in 1947 at the time of the wedding of Princess Elizabeth and Prince Philip. 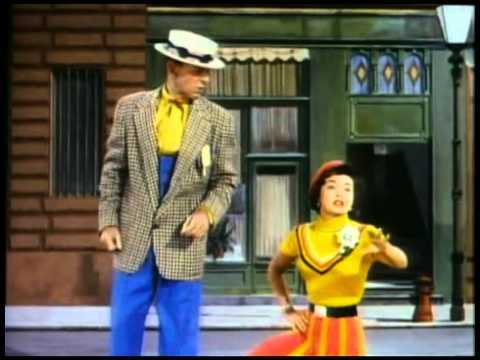 Starring Fred Astaire, Jane Powell, Peter Lawford, Sarah Churchill and Keenan Wynn. Music by Burton Lane and lyrics by Alan Jay Lerner. The film was directed by Stanley Donen. It was his second film and the first film he directed by himself. Astaire and Powell play a brother and sister song and dance duo, echoing the real-life theatrical relationship of Fred and Adele Astaire. Powell, who was not first choice for the role, surprised her colleagues with her all-round ability. She falls for Lawford, who plays an English aristocrat – mirroring Adele Astaire’s romance and eventual marriage to Lord Charles Cavendish, son of the Duke of Devonshire.